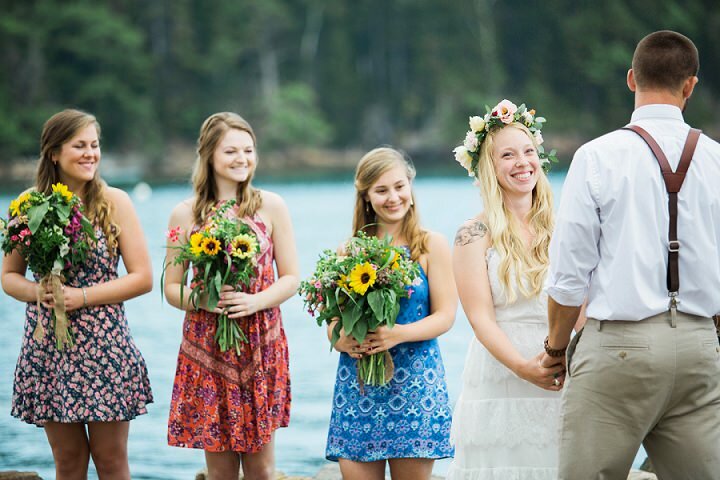 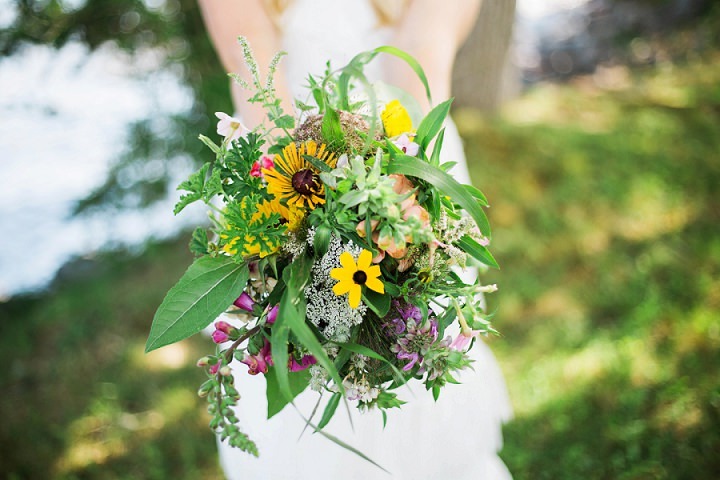 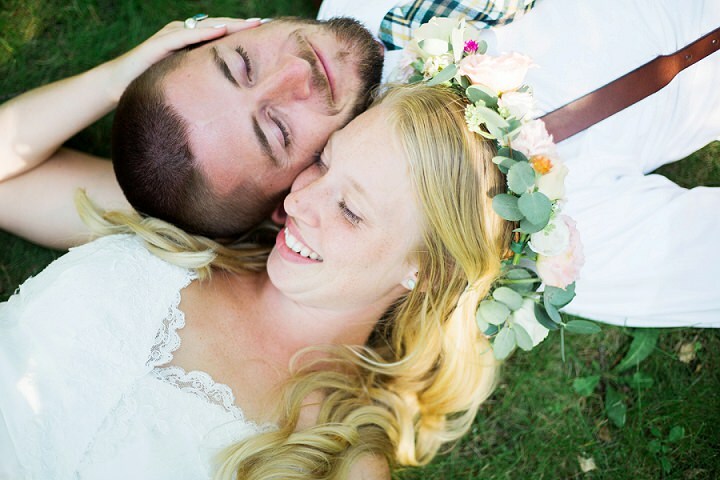 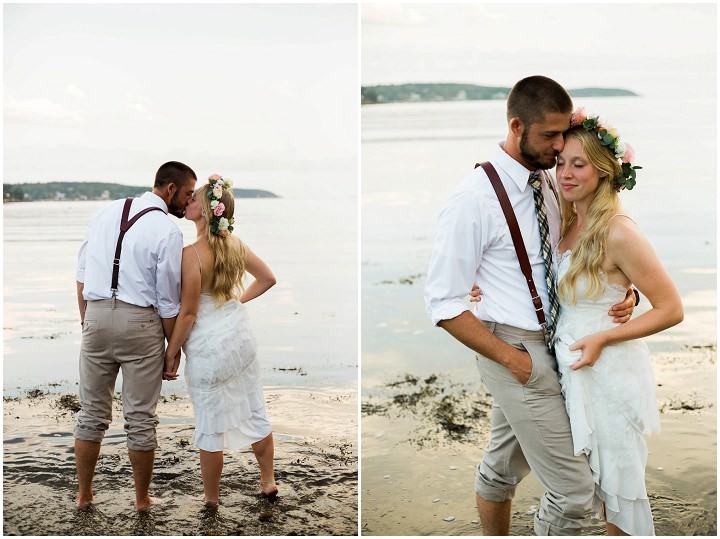 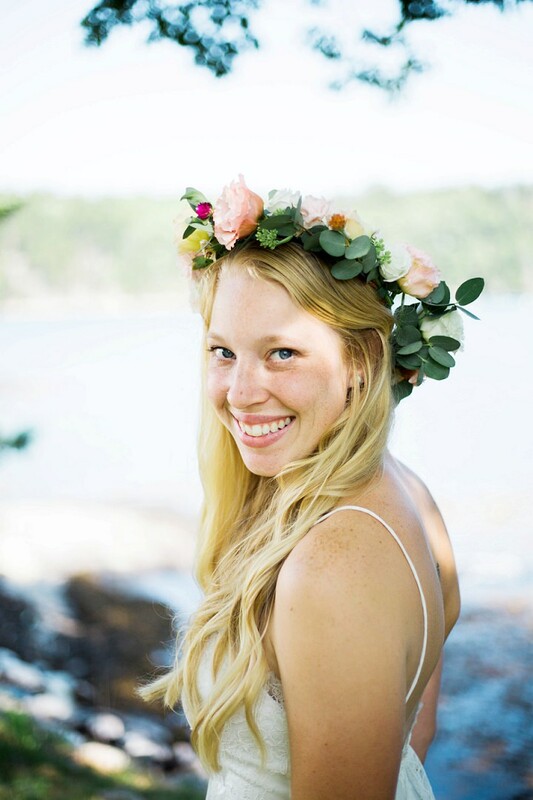 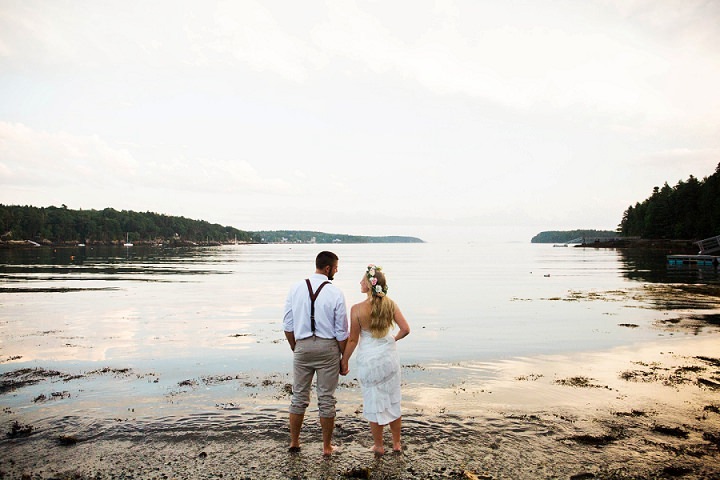 As we reach the middle of the week I am taking you over to Maine in the USA for this totally gorgeous bohemian wedding from Julie K. Gray Photography. 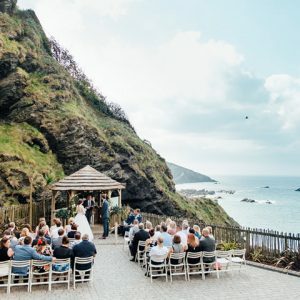 It’s the wedding of Sydney and Aaron who decided to let their laid back ceremony and reception reflect their own laid back nature with their gorgeous intimate celebration. 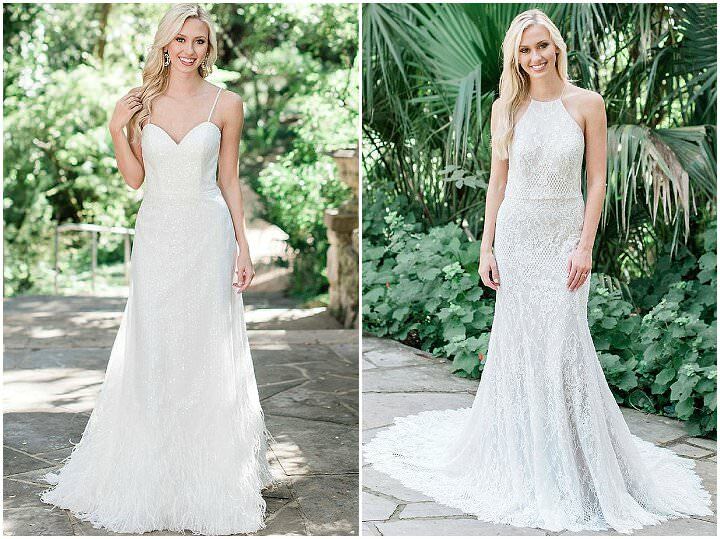 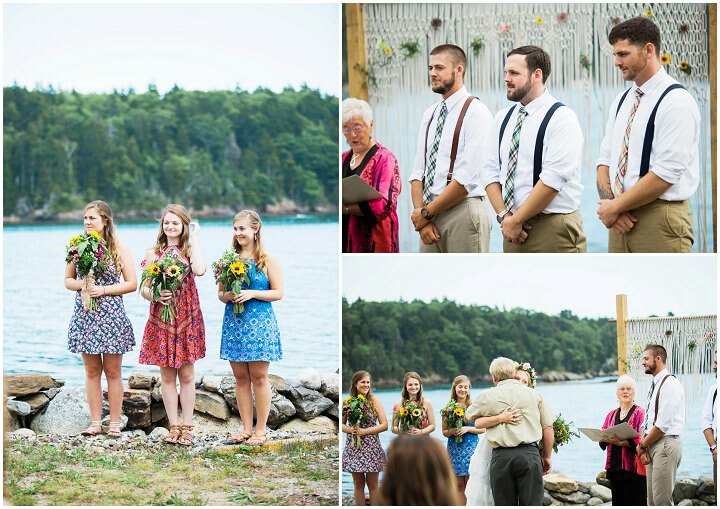 Starting off with the cutest first look, followed by a meaningful outdoor ceremony. 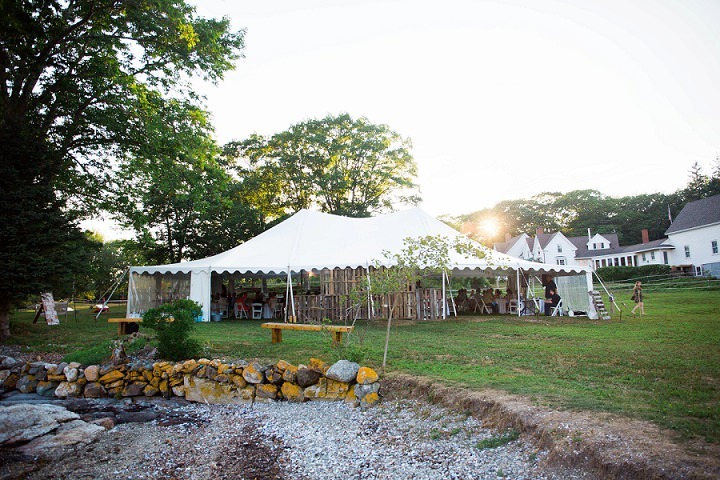 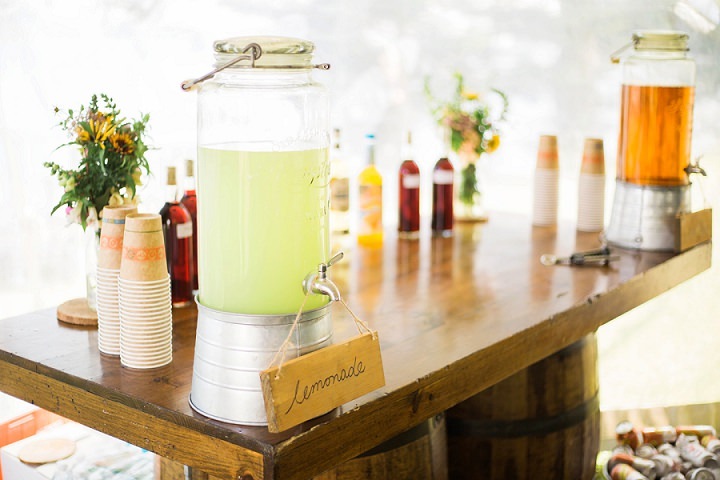 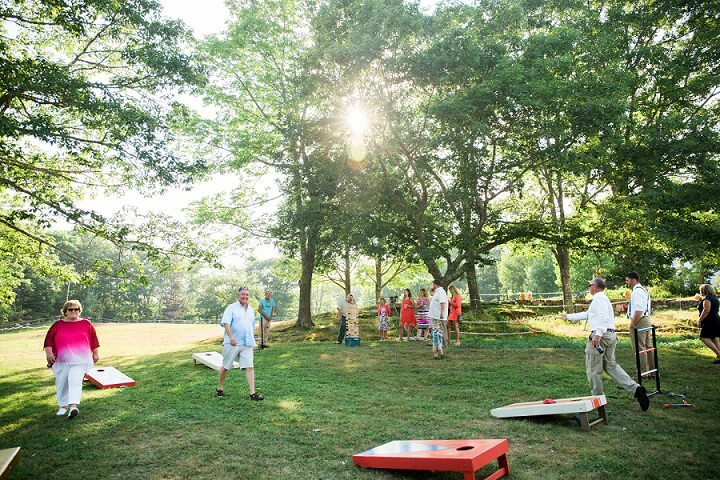 Add in lawn games, a Lobster Bake, and the most gorgeous bride and groom and you have a pure and beautiful bohemian celebration, that I know you are going to love. 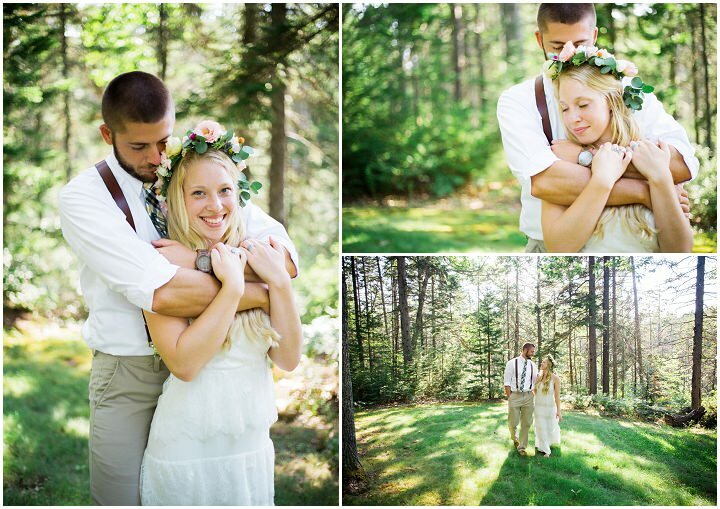 Simple, surrounded by nature and the outdoors, and vibrant with love. 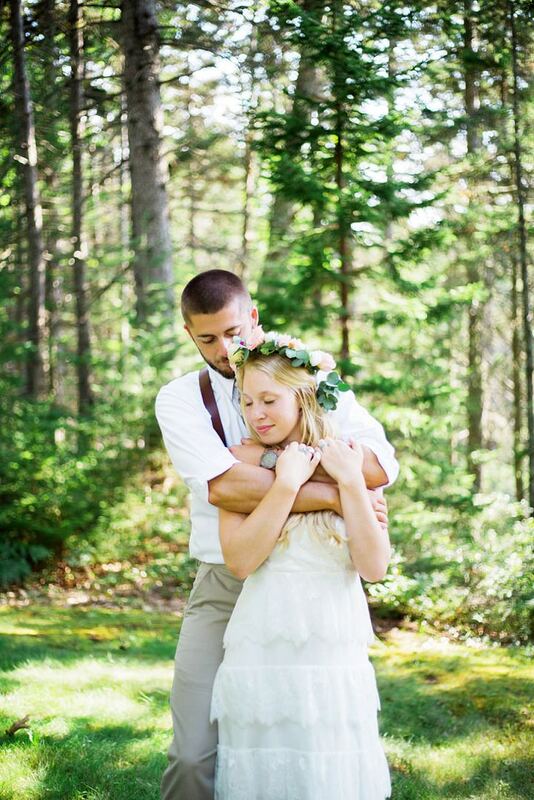 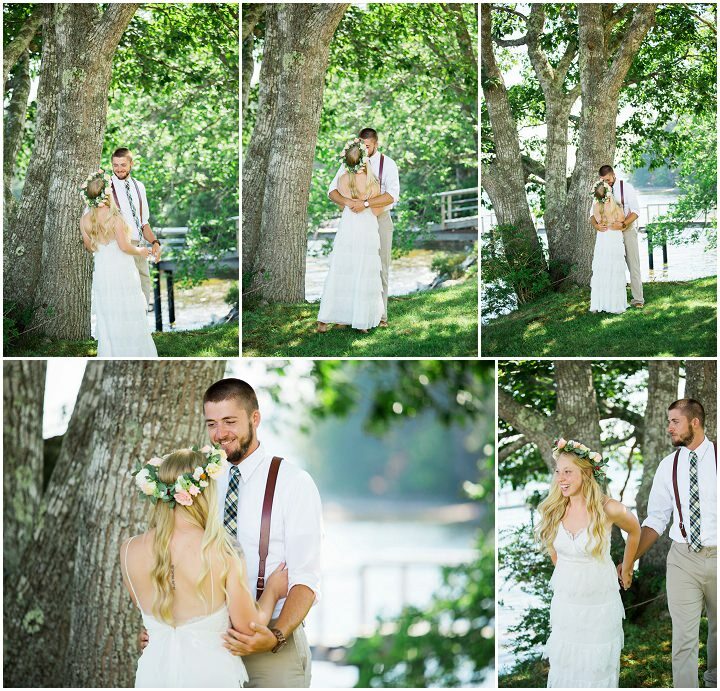 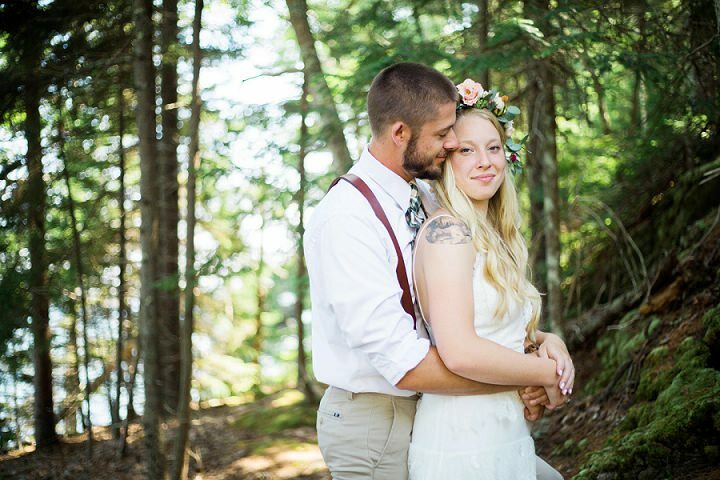 Sydney and Aaron were married on the 6th August 2016 in Maine, USA. 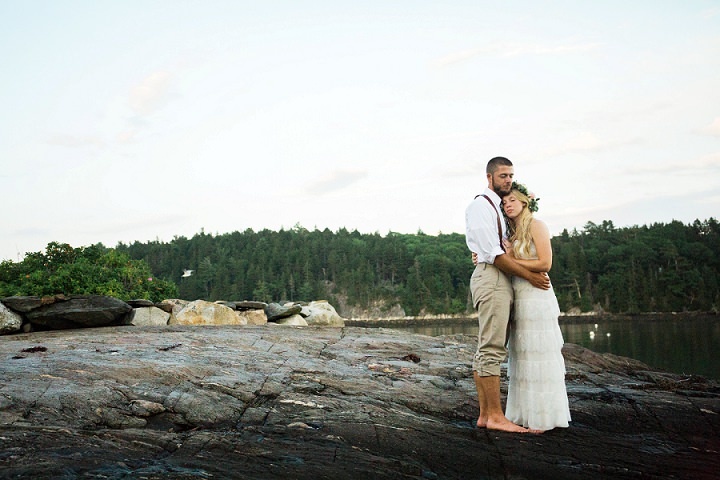 Aaron and Sydney rarely do anything formal and therefore wanted their wedding day to have the same comfortable vibes that they try to encompass daily. 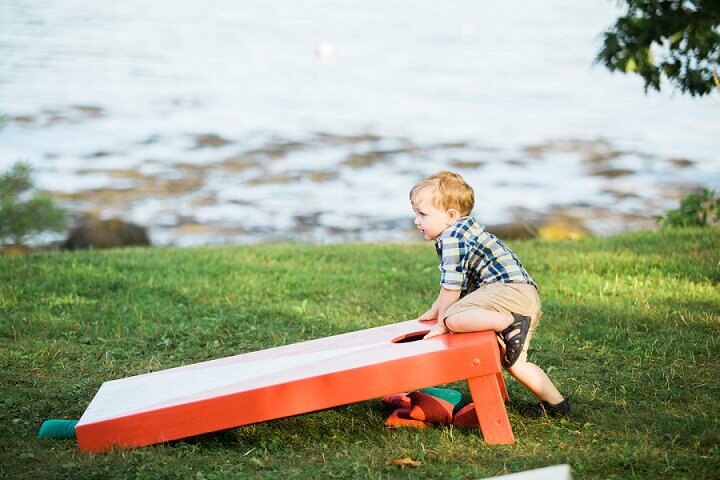 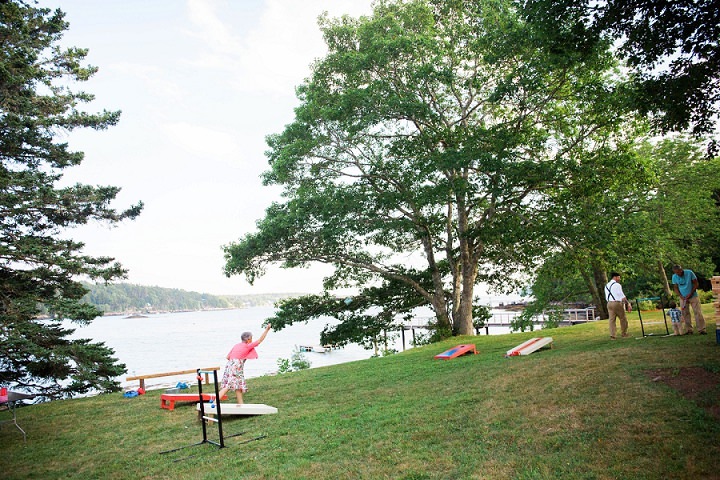 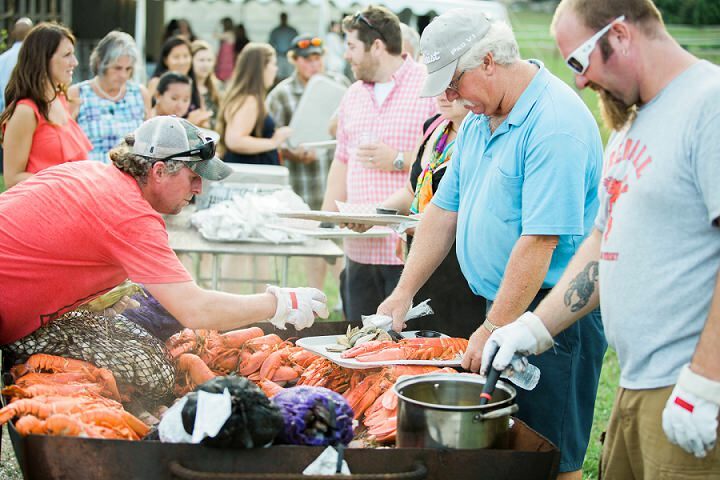 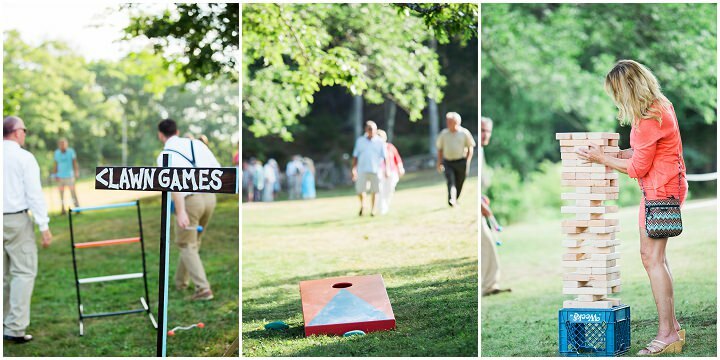 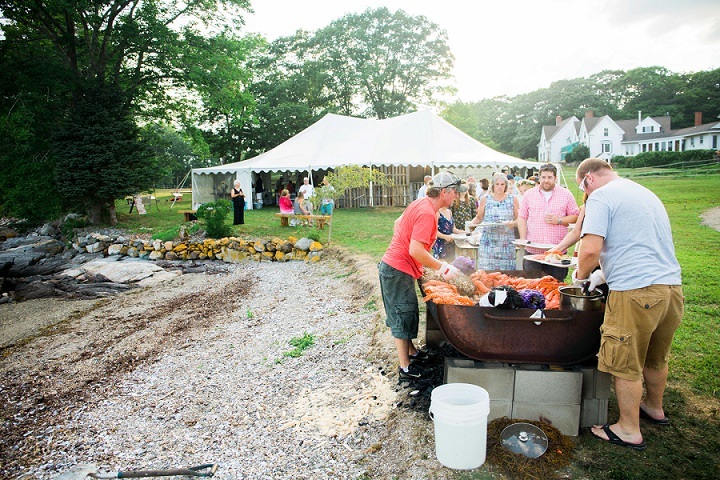 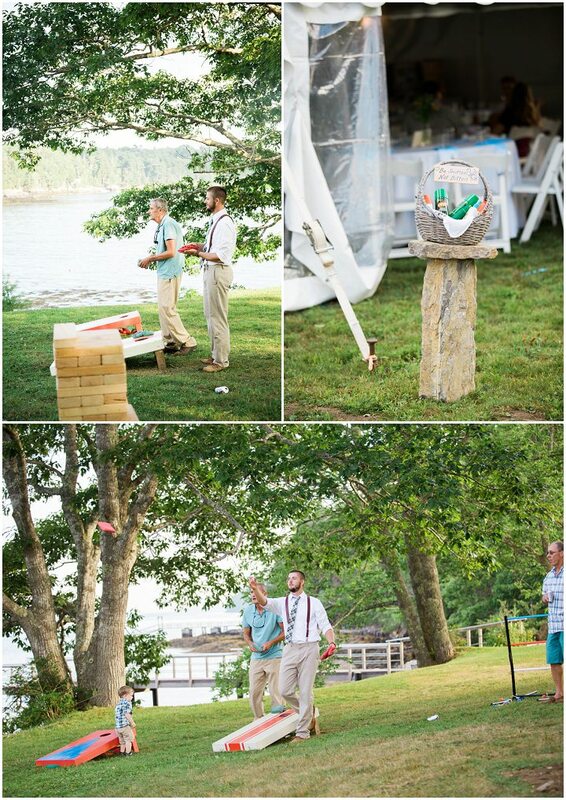 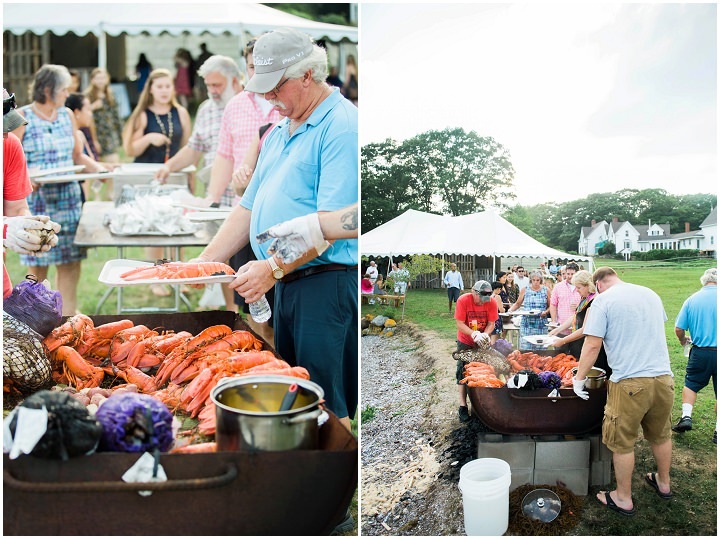 They aimed to take the focus away from many of the traditions that typically surround a wedding and tried to place emphasis on lawn games, beautiful views, and a delicious and casual lobster bake. 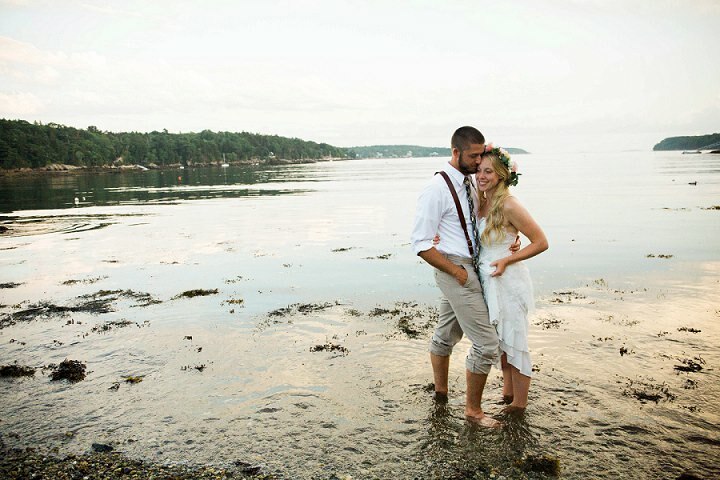 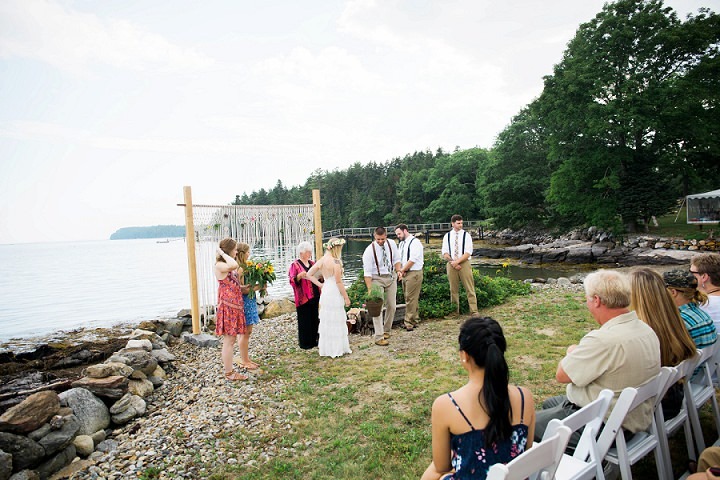 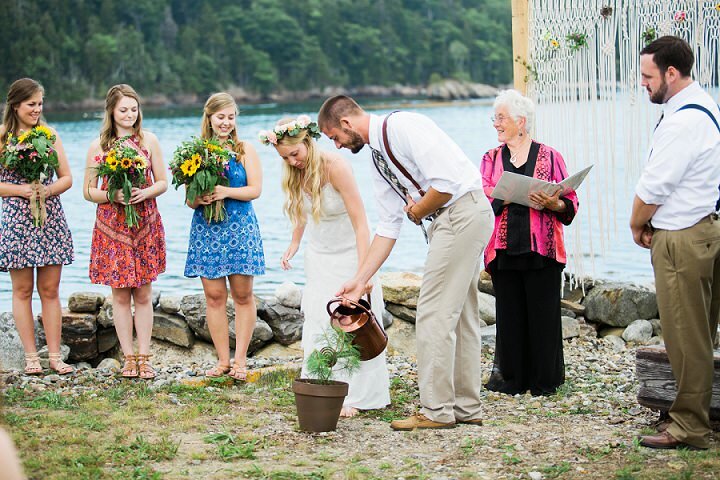 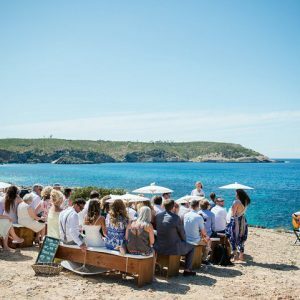 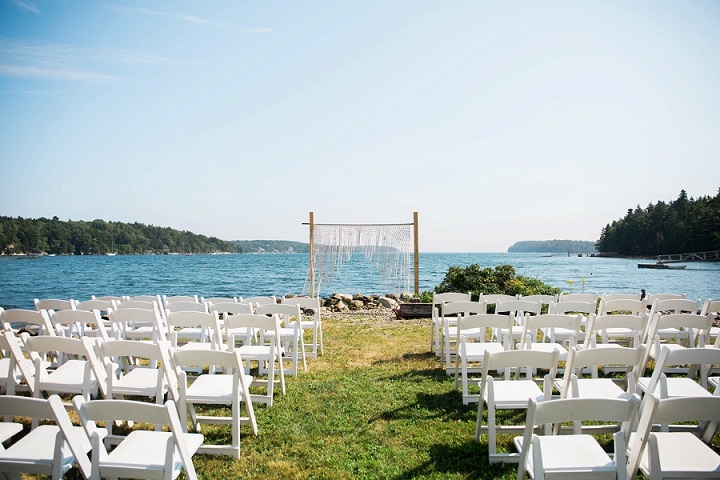 They kept the guest list small and invited only their closest family and friends to their ocean side wedding located only a couple of short minutes from Sydney’s childhood home in South Bristol, Maine. 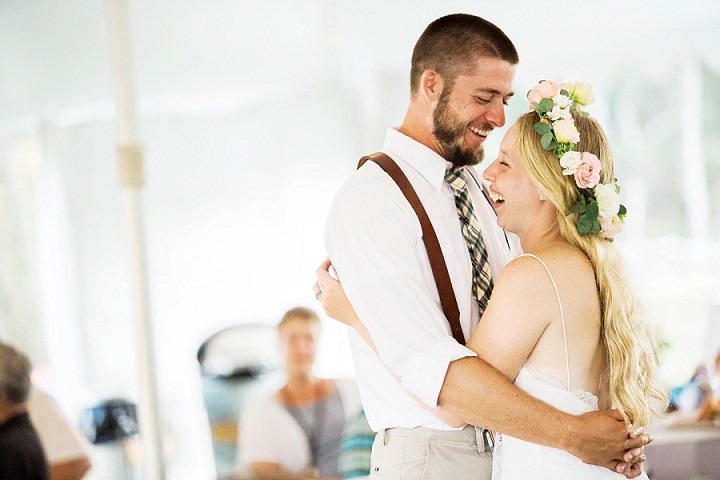 Several years ago Aaron and Sydney both found themselves on individual journeys to self-discovery that led them to the same place: Cheley Colorado Camps, a family owned summer camp tucked away in the mountains in beautiful Estes Park, Colorado. 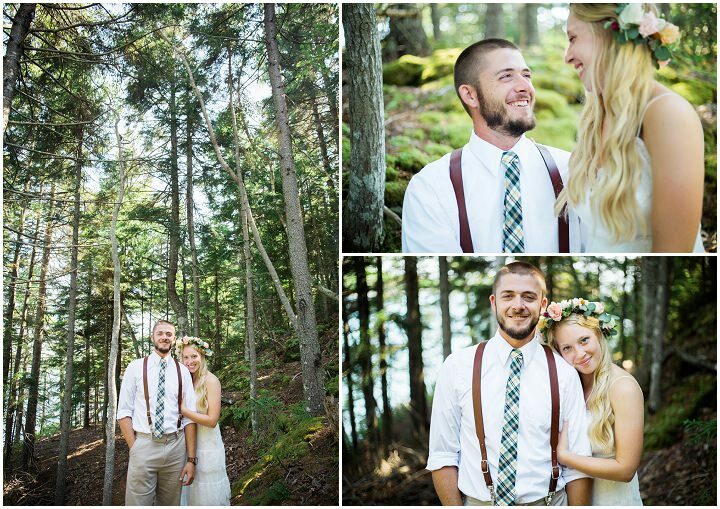 Very shortly after they met it became evident that their bond was sincere and love between them was quickly growing. 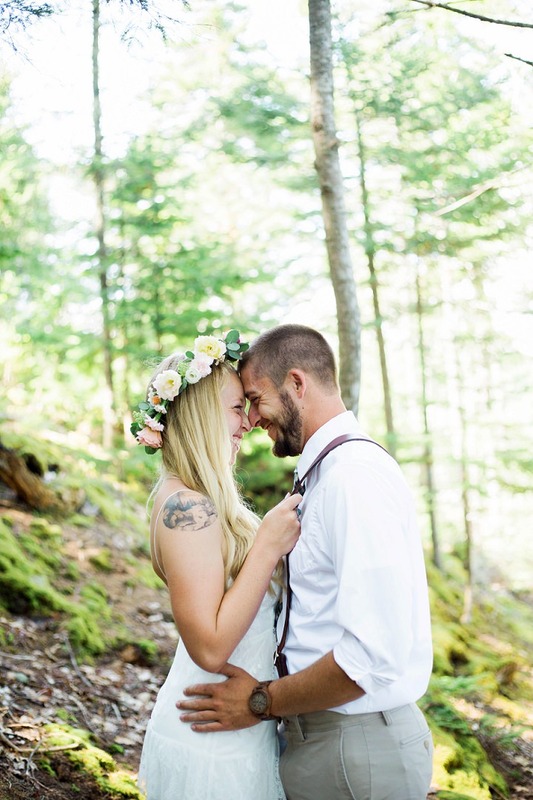 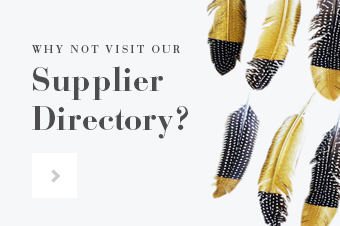 From the beginning they have shared a strong love for exploration, new experiences, as well as nature and the outdoors and they strive to live a life guided by that love and connection. 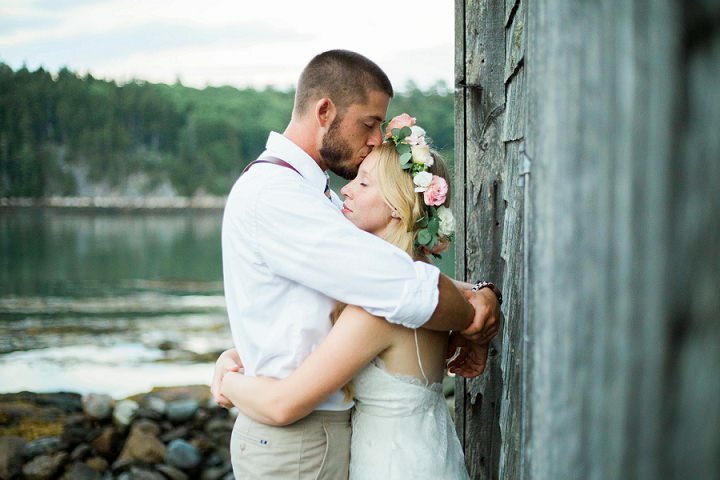 Since their first summer together they have continued to go on countless adventures, their biggest one of all being embarking on their tiny house journey together. 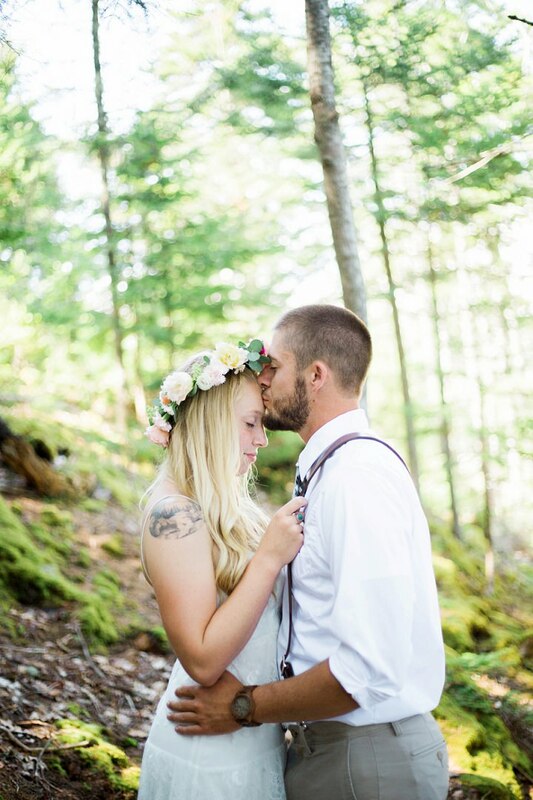 In an effort to live a simple life with minimal environmental impact they decided to take the plunge and build their own tiny house. 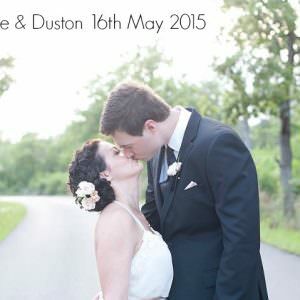 The day they purchased the trailer proved to be an exciting one because they now had the “foundation” of their tiny house, not to mention that Aaron proposed to Sydney as they stood on what is now their home. 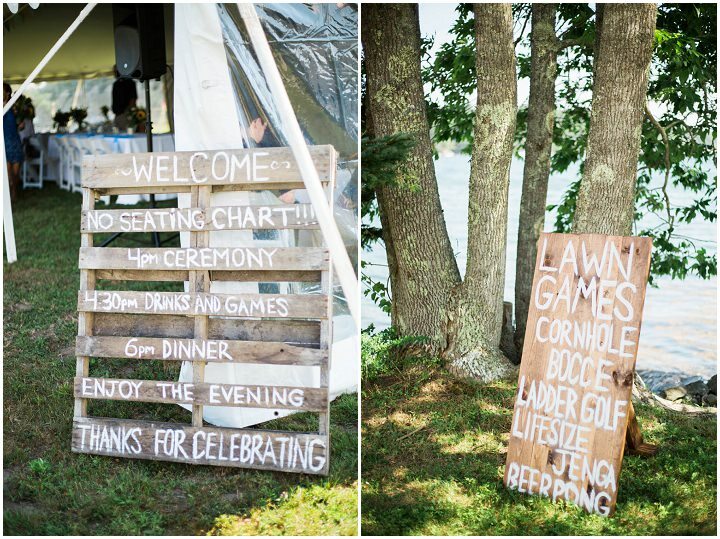 From the moment they began wedding planning they knew that they wanted their wedding to be a reflection of how they live life together. 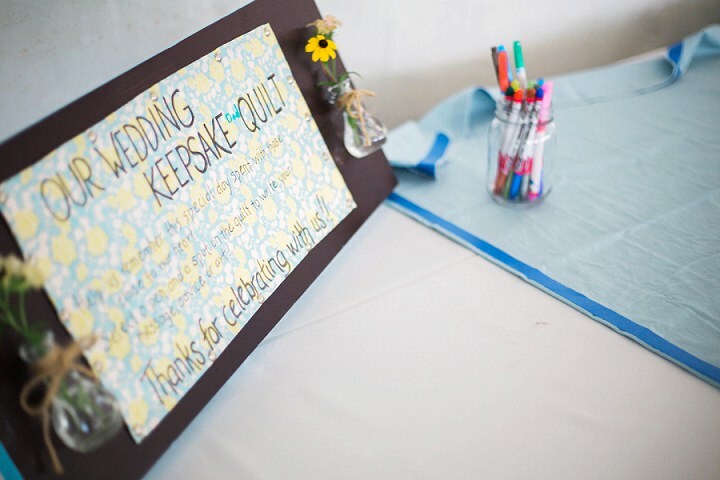 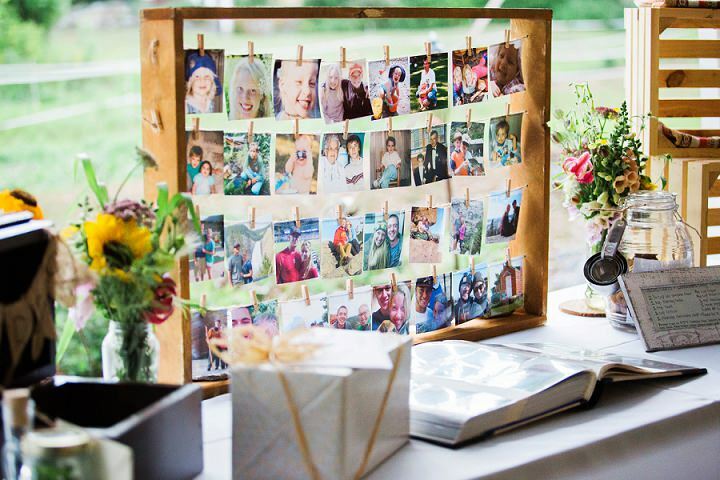 Their simple wedding proved to be a family affair as everyone pitched in to create homemade decor. 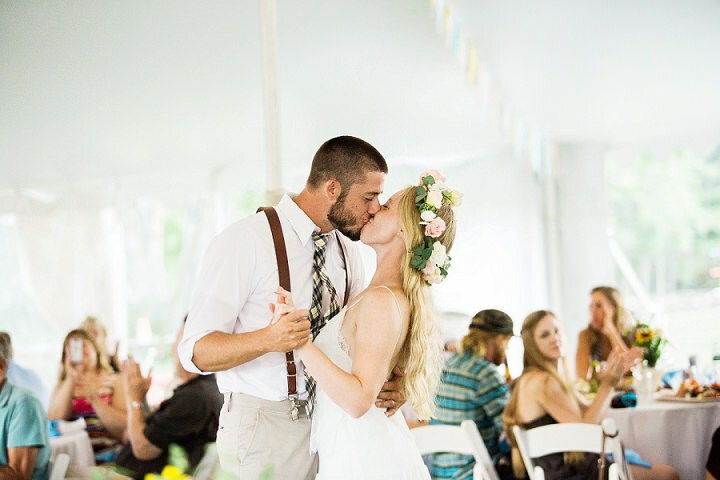 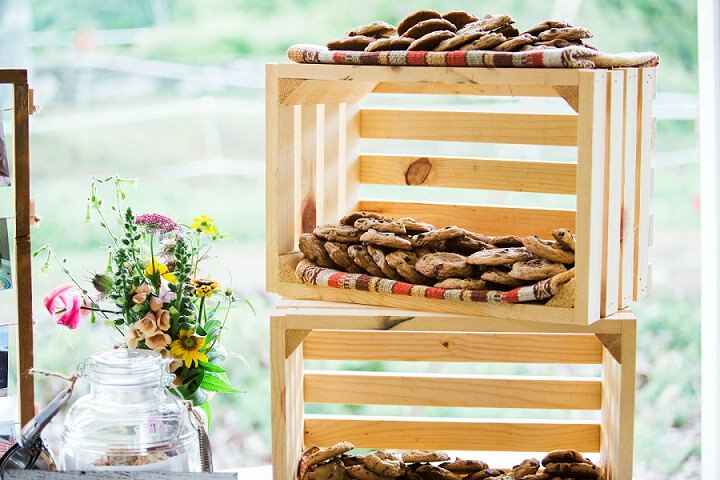 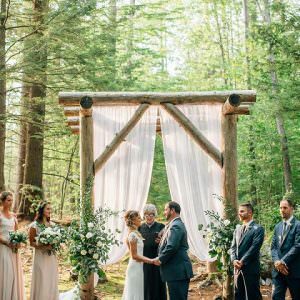 Everything from their whimsical bunting and macrame to the wood and rock macrame holder and wedding quilt were made by their loved ones. 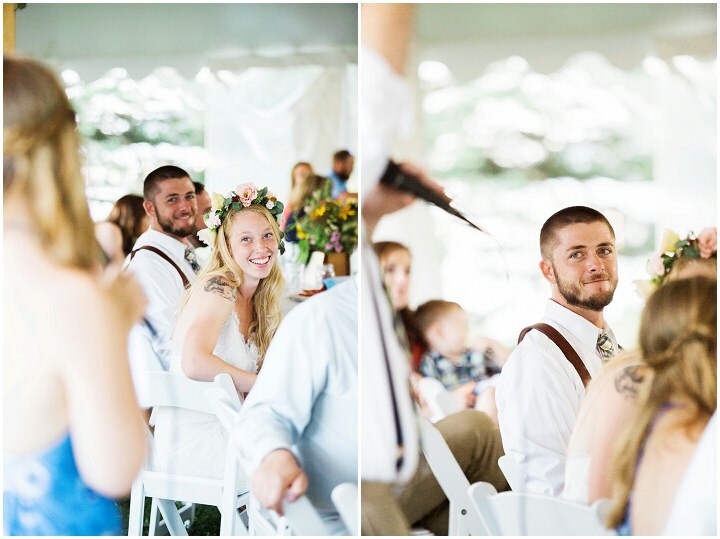 Aaron and Sydney couldn’t have asked for a more low key, fun, or love-filled day. 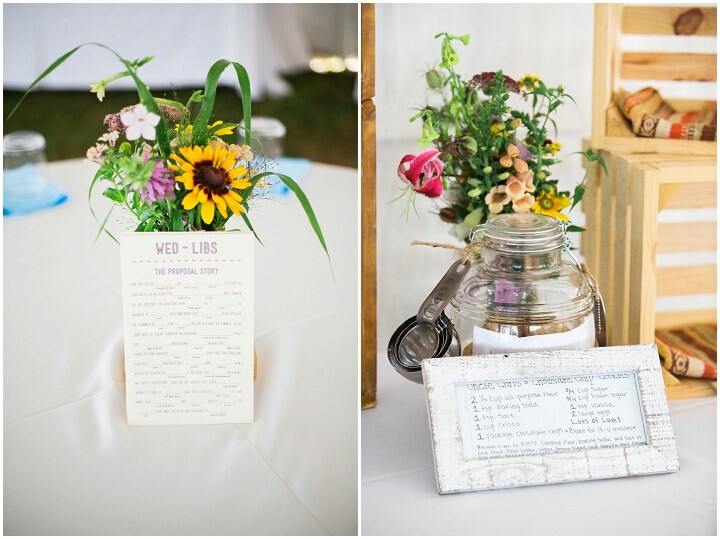 I love the rustic setting. 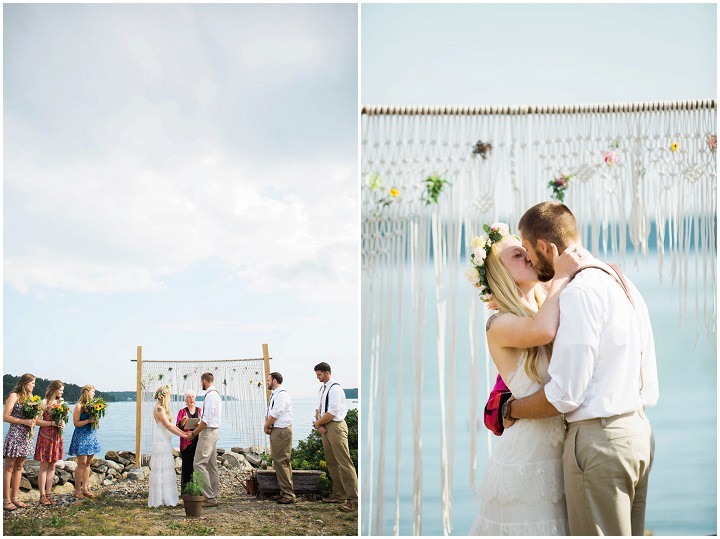 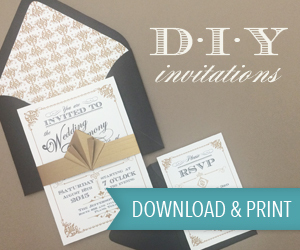 Absolutely gorgeous wedding inspiration.